Last week we hosted our first guests through the Boondockers Welcome website. (click on the mailbox to the left for more information). 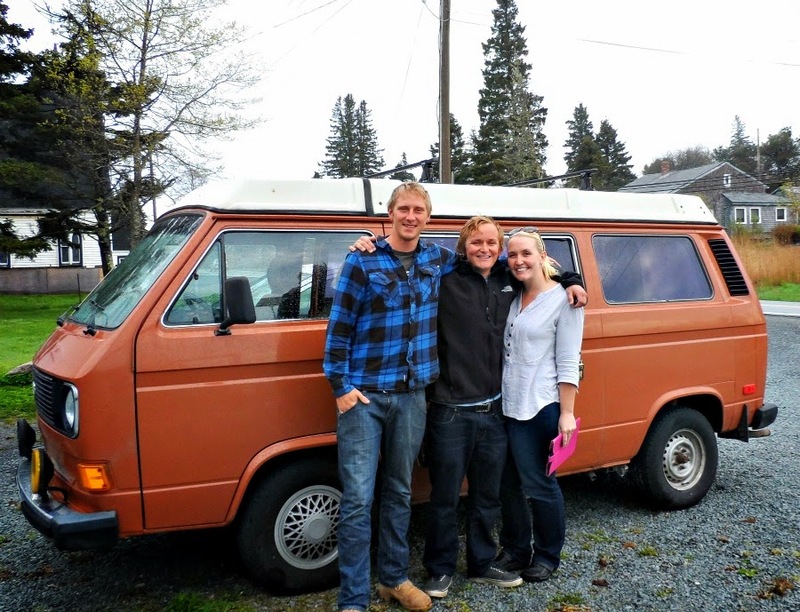 Last year we hosted three RVing couples at Bay Hammocks and really enjoyed meeting them and hearing their stories. This time was no exception. 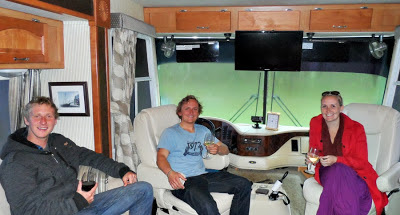 Except our guests were not the usual Rvers who stop here. Meet, from left to right, Illia (sorry, I know this spelling is wrong - simply a best guess), Alex and Hannah from Australia. Alex and Hannah are brother and sister, Illia a friend of Alex. They traveled across Canada from Vancouver and are now on their way to New York City to meet up with Hannah's boyfriend. Then plan to circumvent the US before returning to Vancouver and on home to Australia. 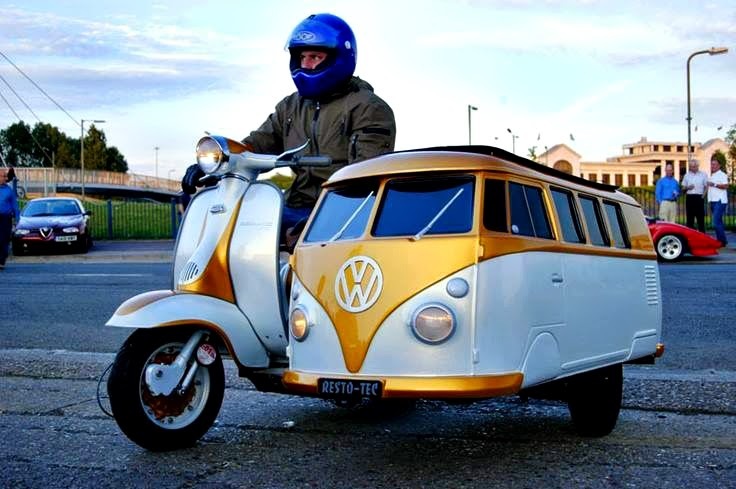 They purchased the VW camper in Vancouver and will sell it there when they leave Canada. Alex is a mechanic so they have no worries about keeping it in operating condition. 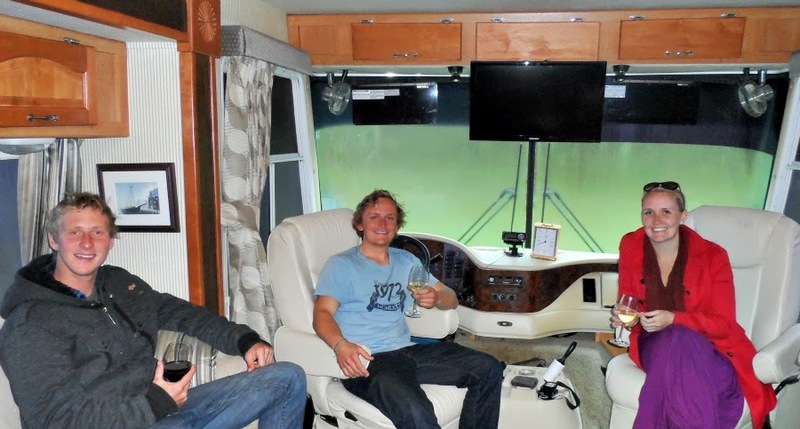 We enjoyed hearing about their experiences and sharing travel stories over a glass of wine in the Adventure Bus. 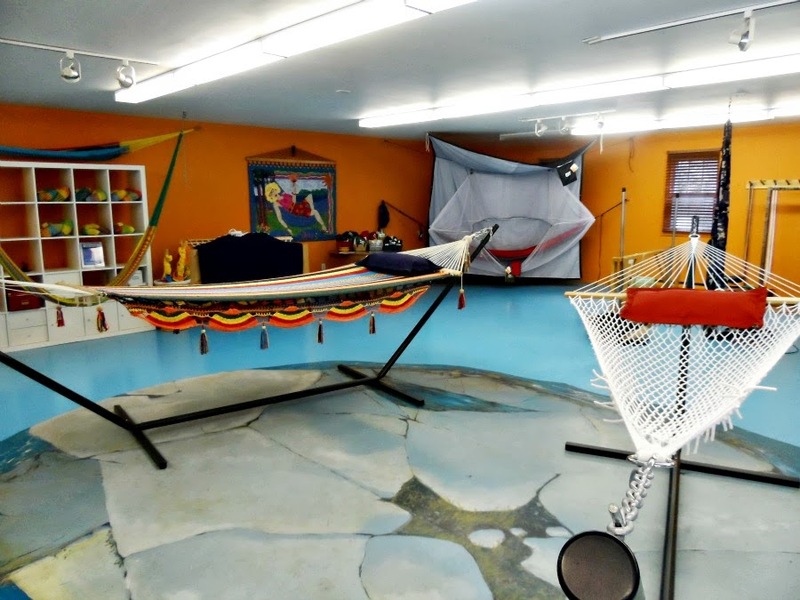 Arch suggested that they sleep in hammocks in Bay Hammock's shop as it was forecast to be a very chilly night. Which they did. And enjoyed a warm night's sleep, deemed the most comfortable of their trip. One slept in the EarthFriendly rope hammock, which we make, one in the colourful cotton hammock from a craft cooperative in Nicaragua and I think Hannah slept in the camping hammock in the background. The perfect vehicle to tow behind their camper don't you think? 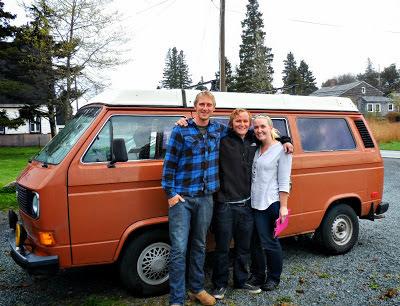 Safe travels Illia, Alex and Hannah. Have fun! !